​Featuring Top Experts in the Field! Certified Trauma Informed Professional, Certified Health and Wellness Coach, and Host of iHeart Radio's "So, What's Next?" ​ "​Recess Was My Favorite Subject. Where Did It Go? Foreword by fitness icon "Body by Jake" Stienfield! "Recess Was My Favorite Subject is our first in our series of books to help educators to incorporate health, wellness, and physical activity into the school day while continuing to maintain a focus on high academic achievement. We present the current research and statistics on childhood obesity, we discuss current trends in American schools regarding recess and Physical Education, help teachers to reconnect to their core purpose for becoming educators, and offer solutions for integrating and incorporating movement and health throughout the school day and into instruction". Recess Was My Favorite Subject.....Where Did It Go? As a first in a series, this book is a must for educators who believe that the REAL purpose of education goes beyond preparing students for taking tests, but believe instead that the purpose is about preparing children for life. 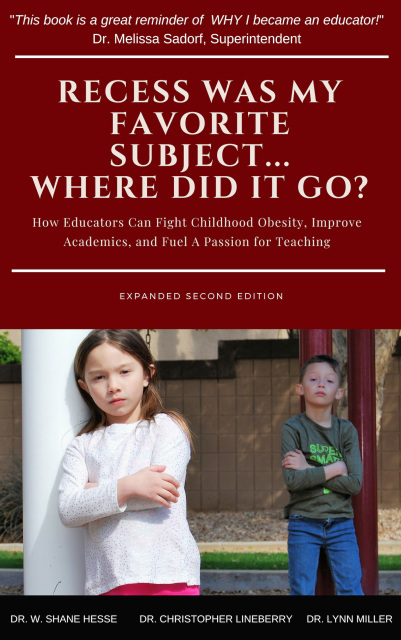 With an historical analyses of childhood obesity in which our children are in the middle, the climbing rates of obesity nationally and internationally which is spiraling out of control, and the shocking physical, mental, and social co-morbidities entangled with obesity, the authors, as both educators and parents have found a remarkable solution for the disease: Recess, Was My Favorite Subject. Whether you are a teacher who is disillusioned by the push for state testing or a principal with parents demanding change in their child's school (movement driven learning, recess periods that have activities promoting healthier and happier children, then this book is for you. As parents working in the business world or single or married or caregivers, this book will give you an opportunity to do the same activities your child or children are doing in school with teachers, thus making homework a family affair. Designed for teachers to maximize subject content in a real life integrated fashion with fun and movement for improved health and greater performance academically, your child will learn the art and science of mindfulness and living in the moment. Time and stress management is covered in a manner that students are learning these gifts of health and are seldom aware learning math, science and history can be fun. The ultimate guide to implementing the components to creating a healthy school! 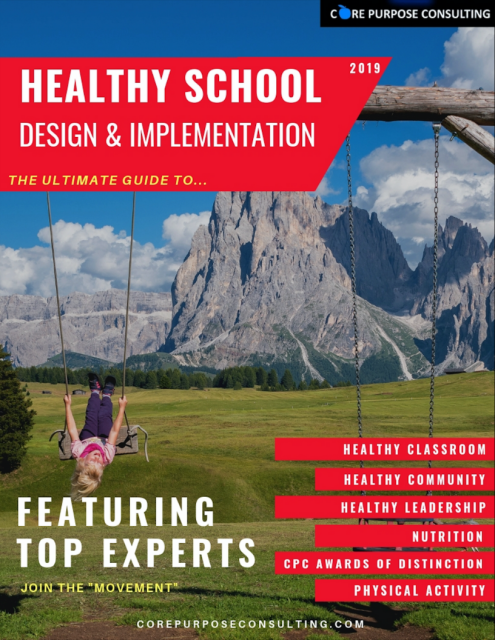 This guide contains modules on School Health Advisory Council Creation (SHAC), Recess Design and Implementation, Improving School Nutrition, Creating Trauma Sensitive Classrooms, High School School Health Design and Implementation, and Awards Criteria for Core Purpose Saphire Apple Awards, as well as much, much more! With input from national leaders, this is the ultimate guide to creating a healthy campus!